Comic Con India has announced the winner of the Maruti Suzuki Arena Indian Championship of Cosplay 2019. A competition that focused on bringing together the best of costume designs and talents from across the country since its inception, the results of Indian Championship of Cosplay (ICC) 2019 have been officially declared on its website and all its official social media platforms. Costume play or ‘cosplay’ has become an indispensable part of pop culture celebrations in recent times. Known as the biggest cosplay competition across the country, ICC is an initiative by Comic Con India which aims to encourage local talent to go professional on an international scale. It serves as a platform for the Indian cosplay artists to battle against each other to represent India at the annually-held Crown Championships of Cosplay, the largest and most prestigious cosplay contest in the world, at C2E2 in Chicago. 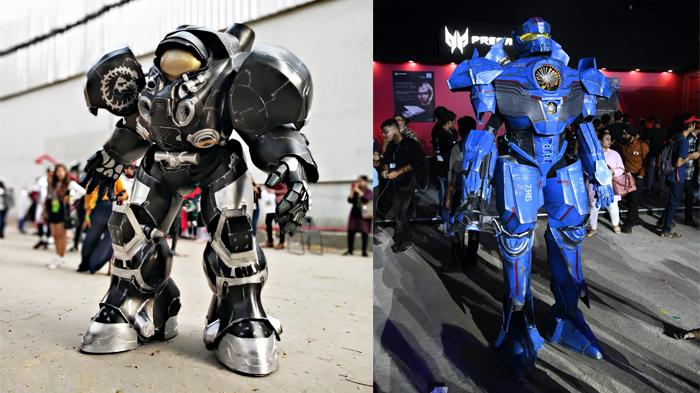 Akshay Churi (Cosplaying as Jim Raynor) has been declared as the winner of the main championship and will be competing with cosplay champions hailing from countries like USA, Australia, China, France, Austria, Singapore, and Indonesia to win the coveted Quest for the Crown 2019. In addition to the main award pertaining to the Jury’s Choice, ICC 2019 also announced Shine Saha (Cosplaying as Gipsy Avenger) as the winner of the Fan Favourite award. The former comprised CCI and Reed Pop Team members as the jury who determined the country’s representative for the Crown Championships of Cosplay. The winner was decided based on criteria such as creativity behind the costume, detailed resemblance with the character portrayed, and the final presentation. Whereas, the winner for the Fan Favourite category was voted by the fans through the official website of Comic Con India. The winners will be felicitated on 28 February 2019 at a glittering event at CyberHub. Over the last few years, Maruti Suzuki Arena Indian Championship of Cosplay has emerged as a remarkable platform for the country’s cosplay community to showcase its creativity and passion for this form of art.